Essex External Wall - Builder, Fascia/Soffits/Guttering based in Vange, Essex. 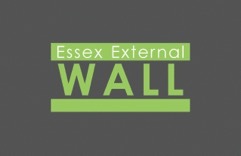 Essex External Wall is a family business that can be traced back 30 years. UPVC Soffits, Fascia & Guttering. Eurocell roofline and rainwater systems. We specialise in domestic work, providing a professional service to the general public. Our aim is to deliver high quality workmanship with good customer services for an affordable price. Please contact Dean for free advice and a free quotation.